The principal goal of my research is to understand the processes by which planets differentiate into a core, mantle, and crust, and evolve geologically through time. The process of chemical and physical differentiation is perhaps the single most significant event in setting the stage for the geologic evolution of planets and large asteroids. Although the bodies of our Solar System formed from mixtures of similar materials, the processes of accretion, differentiation, and thermal evolution have produced wildly different planets. The fact that Earth, teeming with life, and the desolate, barren Moon have a remarkably similar bulk chemical composition speaks to the importance of the conditions present during planetary differentiation and the subsequent geologic evolution that is enabled. Understanding the processes that affect the thermal and magmatic evolution of planets throughout their history allows us to gain a better understanding of the reasons for differences between the planets in our Solar System and what conditions are favorable to the development of habitable worlds. Iron isotope compositions vary widely across the planets. 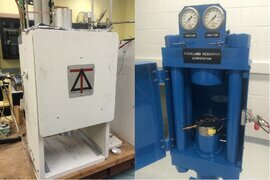 My research focuses on determining the origins of those variations using high pressure and temperature isotope exchange experiments to study how planetary differentiation fractionates iron isotopes. 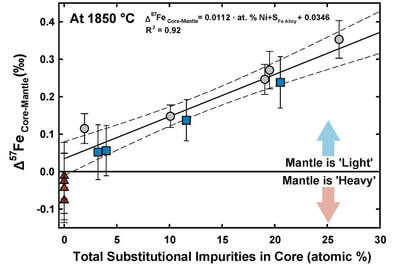 My results have shown the core formation has a significant impact on the iron isotope composition of planetary mantles. 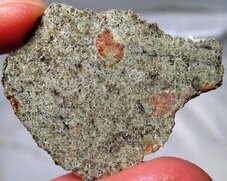 Planetary crusts are the only portions of planets that we actually see and directly sample. They are also often the outward expression of a diverse range of geologic processes occurring on and within planets. One of the main focuses of my research program is understanding the processes that build and alter planetary crusts across the Solar System using a variety of tools. 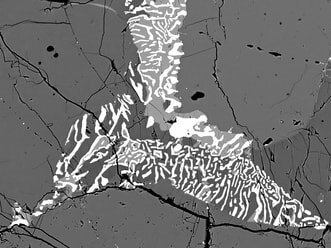 Magma geochemistry and mineralogy record processes occurring within planetary mantles. 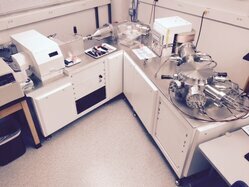 Using these records, this line of research focuses on understanding the formation and thermal and magmatic evolution of planets. This includes understanding the geochemical evolution of planetary mantles throughout a planets history as well as how planets incorporate and retain volatiles during their accretion and differentiation. 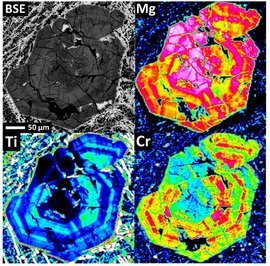 Cover Photo: A magnesium X-ray map of a high-temperature experiment designed to help unravel the formation of the Moon's crust. "Planetary Materials" picture, depicting a martian meteorite, is courtesy of Carl Agee, University of New Mexico.